Action figures of the Man of Steel are rarely made out of steel. They are, like seemingly everything in our lives, made of cheap, easy to mold plastic. But what if steel and other metals were as easy to work with as plastic? Bulk metallic glasses are metallic alloys whose neatly ordered atomic structure can be altered into an amorphous, non-crystalline structure — giving metal the malleability of plastic, while maintaining its durability and conductivity. Metallic glasses are used in a wide array of applications: electronics, nuclear reactor engineering, medical industries, even golf clubs. Yet, for all their varied uses, these alloys are complex, often containing five or six different elements, including expensive noble metals like gold or palladium. 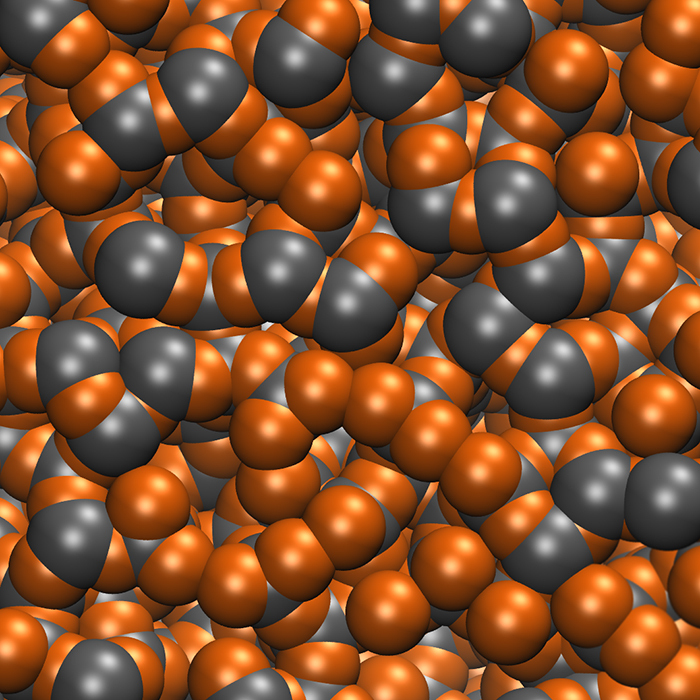 Another hurdle: scientists have no clue which combinations of elements will form them; the only way to know if a metallic alloy is a bulk metallic glass is by first synthesizing the alloy, melting and quenching it, and then seeing whether or not it crystalizes. The process is expensive and time consuming. 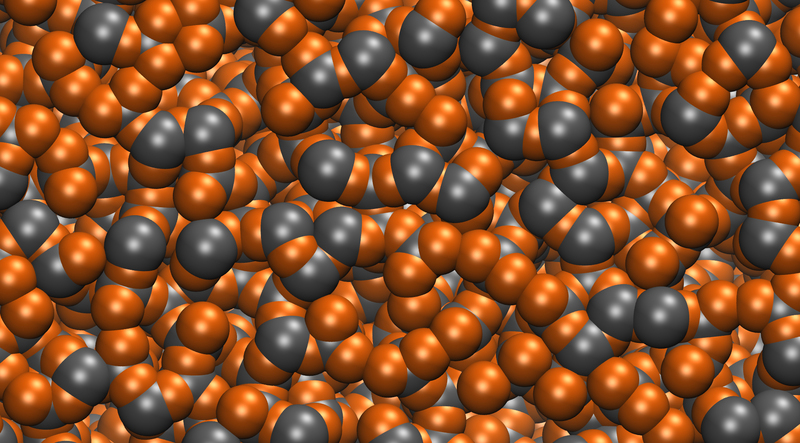 Now, researchers from the Harvard John A. Paulson School of Engineering and Applied Sciences (SEAS), in collaboration with colleagues from Duke and Yale universities, have developed a method to predict which alloys may form a bulk metallic glass. The research is described in Nature Communications. “For the first time, we’ve observed a strong correlation between the glass-forming ability of an alloy and properties that we can easily calculate ahead of time,” said Joost J. Vlassak, the Abbott and James Lawrence Professor of Materials Engineering at SEAS. When metal alloys are melted, the atoms lose their ordered structure. Most metals alloys will snap back to their rigid crystal structures when cooled back down. Bulk metallic glasses, if cooled at certain rates, will retain the random amorphous structure even in the solid state. But some alloys have more options when it comes to their crystal structures. When these alloys are being cooled into solids, their atoms could crystallize in many different ways. The team at Duke developed a database to simulate the hundreds of crystalline structures each alloy could potentially take. They created a program to analyze the various structures and compare the energy required to form them. Alloys that can form many different structures whose energy is similar are likely candidates to form a metallic glass. The teams at Harvard and Yale then verified the predictions experimentally. The new approach is able to predict the formation of known metallic glasses 73 percent of the time and has identified hundreds of new candidates for metallic glass made from simple, two-element alloys. Now that researchers can predict good candidates for metallic glass, they can start looking for new material systems. This research was supported by the National Science Foundation. It was co-authored by Eric Perim, Dongwoo Lee, Yanhui Liu, Cormac Toher, Pan Gong, Yanglin Li, W. Neal Simmons, Ohad Levy, Joost J. Vlassak, Jan Schroers, and Stefano Curtarolo. When metal alloys are melted, the atoms lose their ordered structure and become amphorous, as seen above. Most metals alloys will snap back to their rigid crystal structures when cooled back down but bulk metallic alloys will retain the random amorphous structure even in the solid state.